…yes, that’s what I meant to write. God bless Chinglish; it brightens everyone’s day. 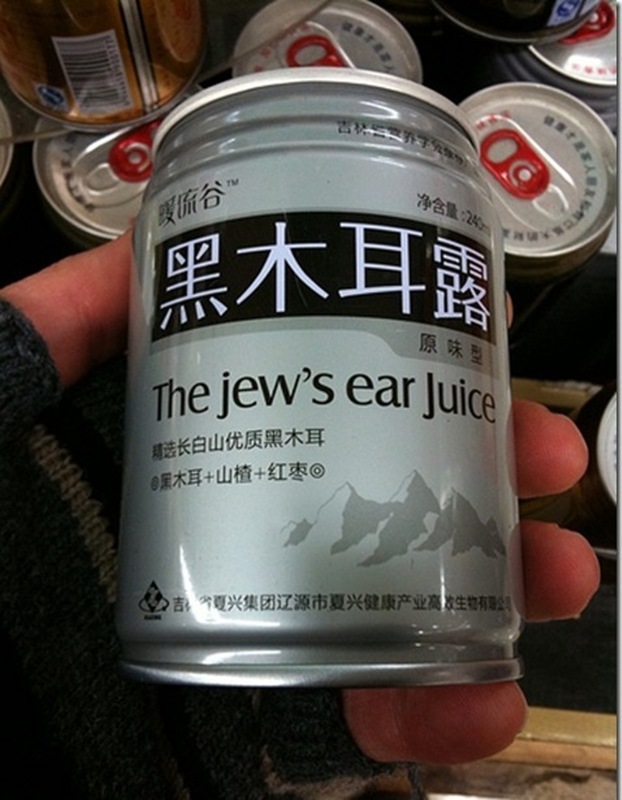 The jew’s ear is actually a type of edible wild mushroom, and jew’s ear used to be a general term for all edible wild mushrooms, though this usage of the term has long fallen out of favour due to heavy pressure from the Jewish lobby. Ok, I made that last part up. But the rest is true.